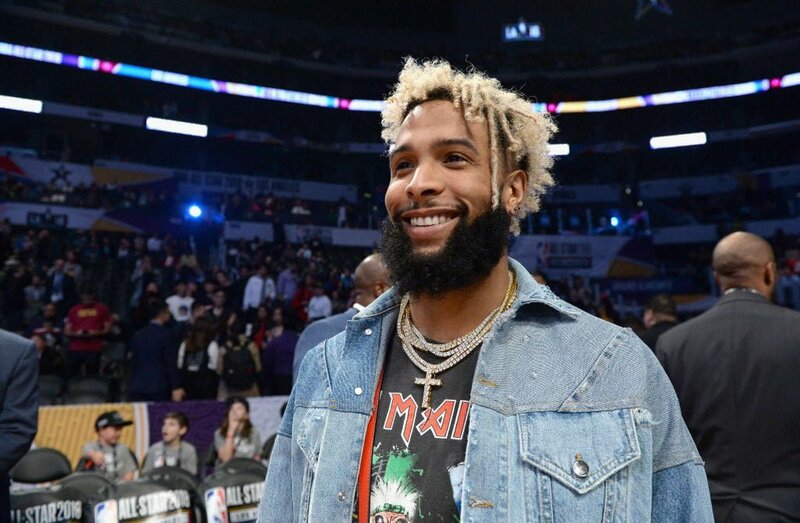 We now know why flashy football star Odell Beckham Jr. frequently gets cramps during games and why he sometimes walks funny on (or going off) the field: He doesn’t like drinking water. The highlight-making New York Giants wide receiver told surprised reporters Friday that the fluid to keep him (and the rest of us) hydrated makes his stomach feel “slushy” and that he occasionally takes an IV to avoid dehydration — and drinking water. Beckham, who recently signed a five-year $95 million deal, made headlines (and fans mad) again when he suddenly left the field before halftime while the Giants were being pummelled by the defending Super Bowl champion Philadelphia Eagles on Oct. 11. His excuse? Yep, he got cramps and needed an IV to keep playing. The Giants still lost 34-13 as the team is a disappointing 1-5 this season. Hmm, maybe there is a way to keep Beckham replenished with H2O. While seemingly avoiding reporters’ questions about his teammate quarterback Eli Manning and Giants owner John Mara’s recent critical comments about him, Beckham (gasp!) took a swig of water! Guess we’ll have to wait and see if OBJ cramps up again when the G-Men play the Atlanta Falcons on Monday Night Football. Odell Beckham is asked what he thought of John Mara’s comments about him and if he still believes in Eli Manning.